The main event… Mark your calendars for June 9! 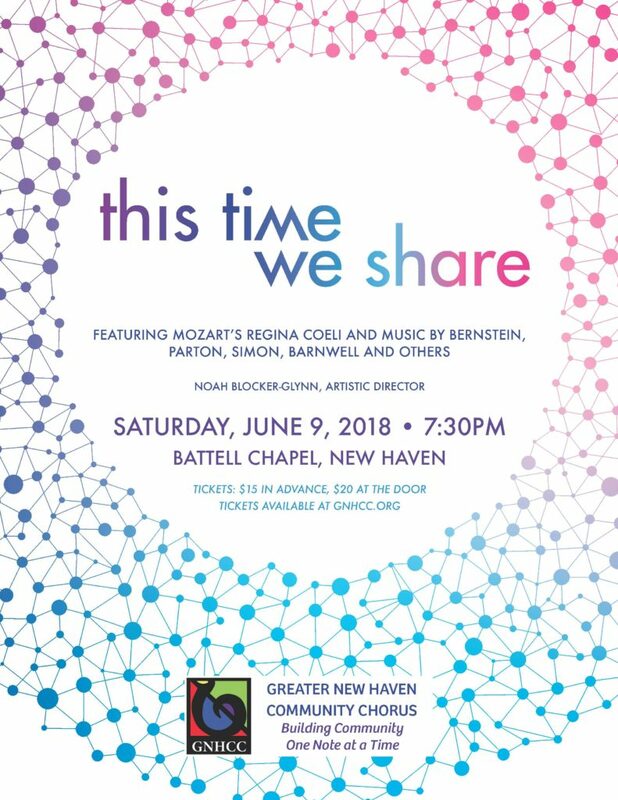 GNHCC’s Spring Concert, this time we share, will be held at Battell Chapel, 400 College Street, in Downtown New Haven, on Saturday, June 9, at 7:30pm. Doors open at 7. Tickets are now available online or from your friends in the Chorus. We hope to see you there! for GNHCC’s Spring Concert at Battell Chapel! Do you get the latest GHNCC news? 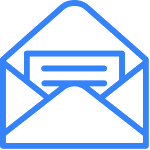 Click to subscribe to our email newsletter, sent out a few times per semester. 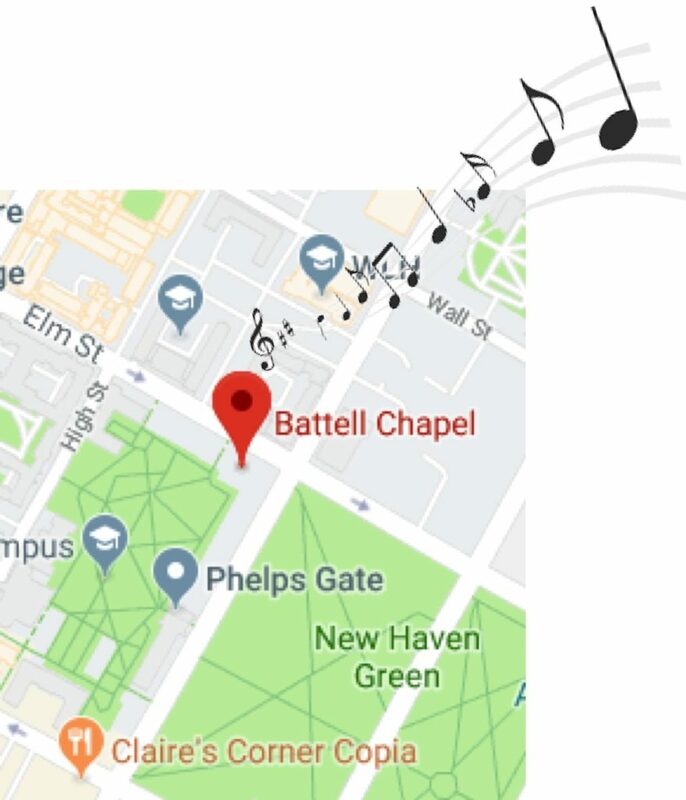 In case you missed it: GNHCC sends members help to serve dinner at the Downtown Evening Soup Kitchen (DESK), sent the “B-Sharps” team to compete in the annual New Haven Reads Spelling Bee, and is currently celebrating its 55th year, including an anniversary party in November 2018 and a commissioned work to debut in Spring 2019. 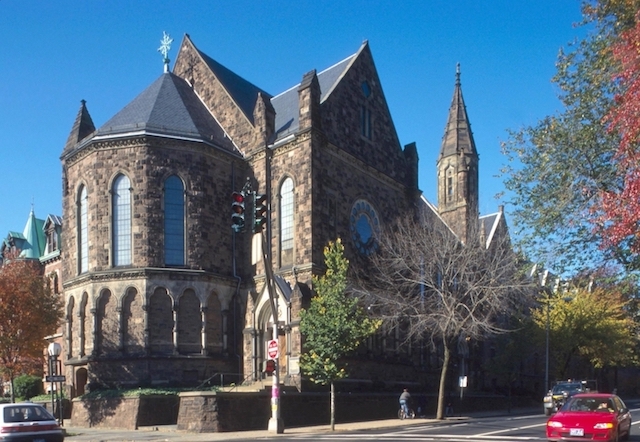 Rehearsals are held at First Presbyterian Church, 704 Whitney Avenue, New Haven, on Thursdays at 7pm. Spring 2019 enrollment begins January 17. At other times during the year, all are welcome to sit in on any rehearsal. Contact us if you would like to visit!